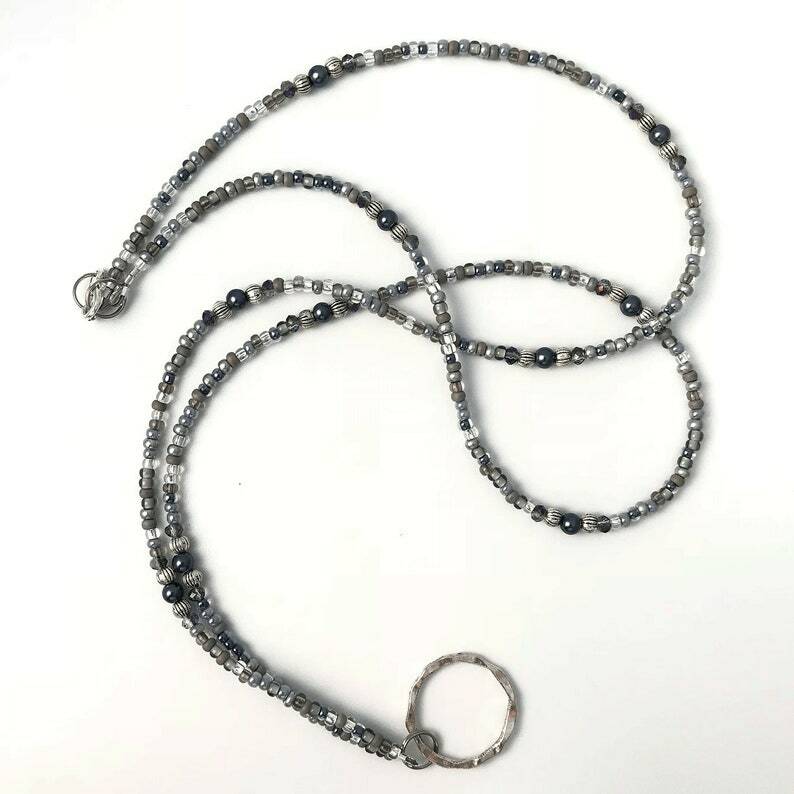 This eyeglass lanyard is designed to be a basic glasses holder in a mix of gray, blue, and clear glass seed beads and small silver decorative spacers, dark blue glass pearls and tiny gray crystal rondelles. This reading glasses holder is lightweight making it perfect for any day. 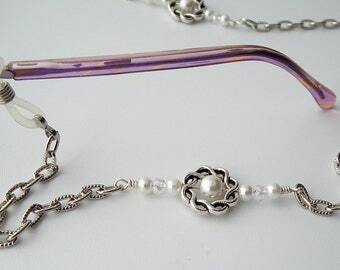 Slip your glasses onto the silver hoop at the front of the lanyard. This is great for sunglasses as well. 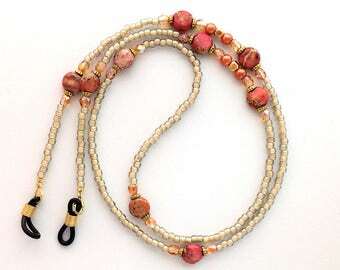 Length of this eyeglass lanyard is 32". 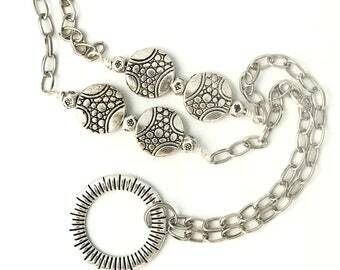 The closure at the back of the lanyard is a silverplated lobster clasp. 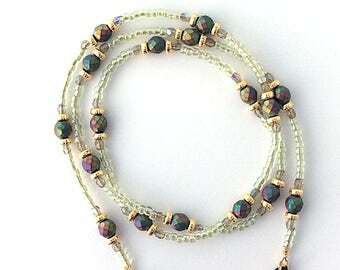 You may also use this lanyard for an id badge. 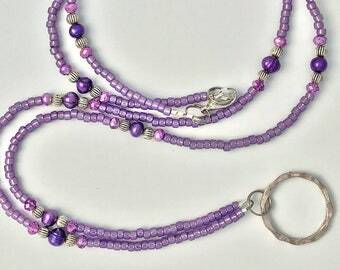 I include a silver-tone clip to attach your id badge to the hoop on the lanyard. Every eyeglass chain is carefully packaged in a lovely organza pouch with a small satin ribbon bow ready for you to enjoy or for giving.